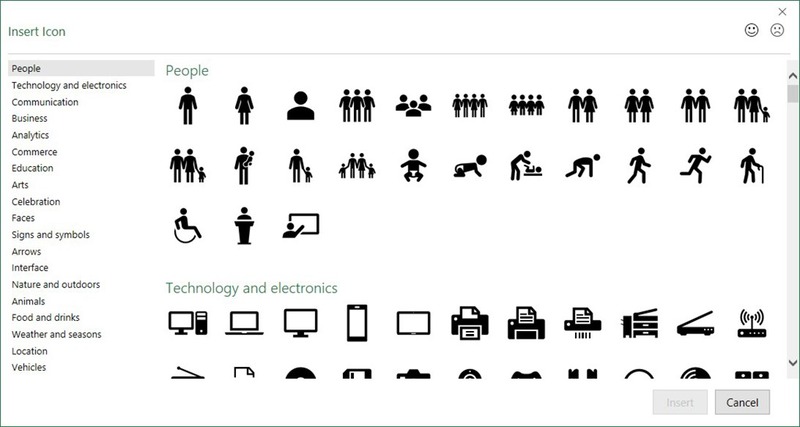 In Office 365 we have available standard icons to insert in our Document, Workbooks, Presentations and Emails. 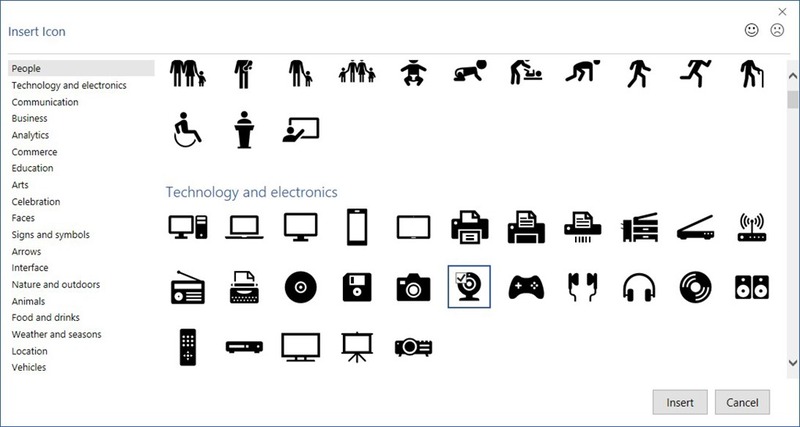 These icons are from a standard library of SVG (Scalable Vector Graphic) files that we can easily use. In order to find out how to Insert Icons in Microsoft Word, Microsoft Excel, Microsoft PowerPoint and Microsoft Outlook just keep on reading. In the following image, I have started the Microsoft Word application and then selected the Insert tab and from the area of the ribbon named Illustrations I have selected the Icons command. In the following image, I have started the Microsoft PowerPoint application and then selected the Insert tab and from the area of the ribbon named Illustrations I have selected the Icons command. In the following image, I have started the Microsoft Excel application and then selected the Insert tab and from the area of the ribbon named Illustrations I have selected the Icons command. 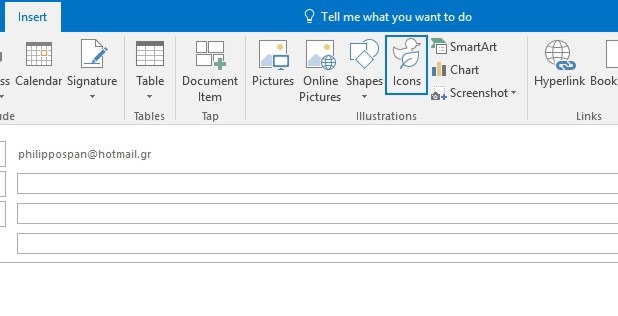 In the following image, I have started the Microsoft Outlook application and then created a New Mail Message, and then selected the Insert tab and from the area of the ribbon named Illustrations I have selected the Icons command. Whatever application we are running, once we select the Icon command from the Illustrations area of the ribbon, the Insert Icon dialog box will appear as shown in the image below. People, Technology and Electronic, Communication, Business and many more. All we have to do, is to click on the category that we want, and in the middle of the window the gallery will display the according Icons. We then click on the check box that is located at the top left corner of the Icon. We can select multiple icons at the same time by clicking each and one them before clicking the Insert button. Once we have selected them, we press the Insert button which is located at the bottom right corner of the Insert Icon window. Straight away the selected Icon is inserted in our document. We can modify it if we want by using the Format tab. 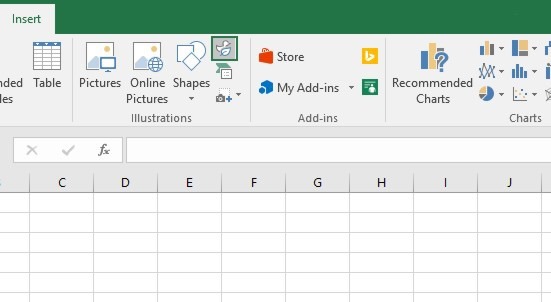 Below you can check out the video describing How to Insert And Edit Icons in Office 365. Posted on January 3, 2017, in Microsoft Office 365 ProPlus English, Office 365 English and tagged Document, Emails, Icons, Illustrations, Insert And Edit Icons in Microsoft Office 365, Insert Icons, Microsoft Excel 365, Microsoft Outlook 365, Microsoft PowerPoint 365, Microsoft Word 365, Office Smart, Office System, Presentations, Smart Office, SVG, Workbooks. Bookmark the permalink. Comments Off on Insert And Edit Icons in Microsoft Office 365.